You may be stumped as to why you’re not ranking well (or at all)…but don’t say it’s because you tried everything and just couldn’t figure it out. You probably didn’t try everything. 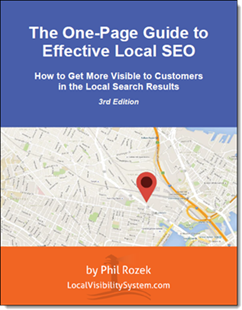 I can think of 56 diagnostics you should try if you want to troubleshoot local SEO problems or find missed opportunities. I’ll tell you all 56 in a minute. It’s not a list of every tool. That’s what this post is for. It’s not a technical audit (although a few of my suggestions fall into that category). Let’s get into it, shall we? I’ve broken this up into 7 sections. You can click on a link to jump to a section. …or you can just start right here at the top. Look up driving directions (in Google Maps) from the business to the town where it’s located or where its owners want to rank. Are you 20 miles from what Google considers the center of town? Are you significantly farther away than your higher-ranking competitors are? You want a sense of whether it’s even possible to rank in your “target” city. Type a search term into Google, click the “Search tools” button under the search bar, and enter the ZIP or postal code that the business is located in. Does it rank? You may see biased results if you’re logged into your Google account or if you haven’t cleared your browser’s cookies in a while. Any crawl or indexation issues? If you rank more visibly in those places than in Google, it’s less likely you’re looking at a technical issue on your website and more likely that you’re staring at Google’s sharp fangs. I’m talkin’ about this. Probably only useful if you’re the SEO person who needs all the pertinent facts from your client – although it might still be a useful exercise even if you’re doing your own local SEO. Are you seeing only organic results for search terms that used to pull up the Google Places 7-pack (or 3-pack) results – or vice versa? Do you see the Google Places page? Is it the correct one? Do you see the expected listings on other sites (e.g. Yelp)? 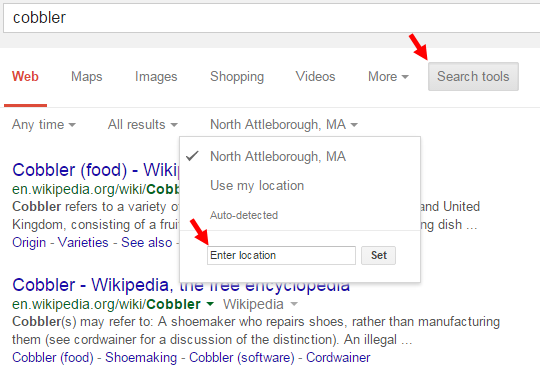 Type in a search term, click the “Search tools” button under the search bar, and enter other cities or ZIP codes. Do you rank for “dentist” but not for “Cleveland dentist”? Are you ranked #10? Are you on page 5? To find out, type in a search term, click the “Map results…” link under the Google Places results, then click the “See results in list view” link. That’s for checking your visibility in the “new” Google Maps. But, as Linda points out, you should also check your rankings in classic Maps, because you may see different results there – possibly pre-Pigeon-update results. Go to plus.google.com, sign in, go to the “Local” tab, and search for the business. Can you find its Google Places page? Is it the one you expected to find? Let’s say your business is in Canada. Check its rankings both on Google.com and on Google.ca. You may notice a huge difference. Look for the little checkmark near the profile photo. Do you see only an “About” and “Photos” tab, or do you see 3-4 tabs (like “Posts,” “Videos,” or “YouTube”)? Yes, Google does that sometimes. 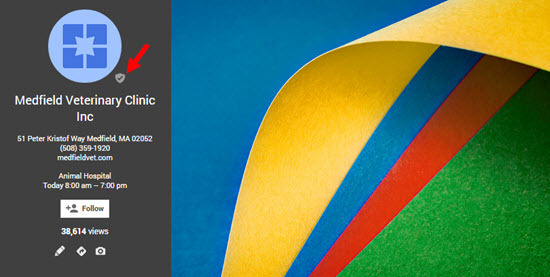 Log into your Google My Business dashboard and you may see a message that says Google made tweaks to your page (usually to your address or categories). Look at the “Details” tab. Is any info incorrect? (By the way, don’t bother with this step if you’ve got a service-area business.) 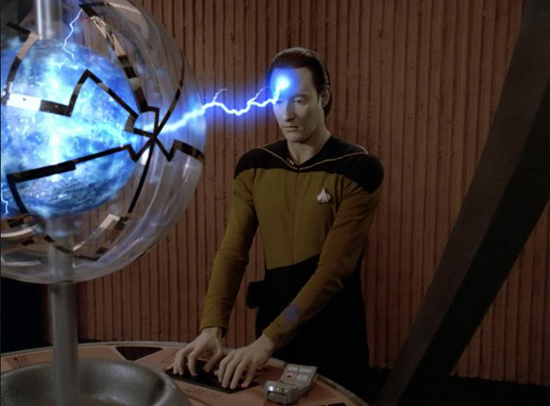 If anything seems incorrect, don’t mess around with it without reading this post first. Google your address. Now check out on the map on your Google Places page. Does the red marker show up in exactly the same place on the map? If not, move the marker. Use Michael Cottam’s excellent and free tool. Or use the old-school techniques that Joy Hawkins’ describes. Go to your Places page and click the link to your site. Does it forward to a domain other than the one you just clicked on? Does it even take you to your website at all (yes, I’ve seen typos here, sad to say)? Please tell me you’re using your homepage as the landing page. I’ve seen significant traffic dips on (for example) weekends when I’ve had clients who are closed on weekends. Is that because search volume is naturally lower on the weekend because people are taking it easy, and that’s why the businesses are closed to begin with? Or is Google less likely to show search results that contain closed businesses? I suspect it’s a little of both. So make sure your hours don’t mark you as “Closed” for more hours than you really are closed. How many of your pages are indexed? Are you seeing old, duplicate versions of pages? Are all your title tags the same (or just terrible)? Go to yourwebsite.com/robots.txt. Make sure it doesn’t contain the dreaded “Disallow: /” line. Especially if you’re not sure how to assess a robots.txt file you’ll want to use Google’s tester. I’m talking about clones of the site you want to rank well: same guts, different domain name. Slimy companies may build these for you in a misguided attempt to try to “track conversions.” The best way to find them is to Google a few lines of text from your homepage, and to see whether another domain pops up in Google. Or use Copyscape or Plagium. Search for them by typing site:yourwebsite.com -www search. Hat tip to the Local SEO Guide guys for reminding me about this one. Google needs to be able to read your name / address / phone (“NAP”) info. That’s not possible if your NAP is an image. So here’s the test: can you copy and paste it? If so, Google can read it OK.
Only do this if you are your own webmaster, have built websites in the past, or otherwise know what to look for. But if you do know what to look for, you may find some real demons. If you’re in an industry where a lot of the traffic (let’s say 30% or more) is from smartphones and you don’t have a mobile-friendly site, your bounce rate may be high. That may hurt your rankings. 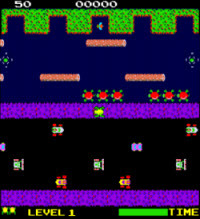 Hat tip to Tony of Cartography Marketing for reminding me of this one. The itemty-…huh? I explain that one in another long post. It’s a little technical, and it won’t explain low rankings, but it might give you a slight edge in the local roller-derby. Hands-down the best way to get a quick sense of how much work your citations need. Oh, and don’t ignore the suggestions for categories. I love this hack. You can find alternative business names, old phone numbers, and more. Beyond Yelp and YP, what sites rank well for the terms you’re trying to rank for? For instance, Google expects you to be on HealthGrades if you’re a doctor, or Avvo if you’re a lawyer, or Houzz if you’re a contractor. I’m mostly talking about industry sites. Thanks to Gyi Tsakalakis for reminding me of this point. I like to search with dashes as the separators (e.g. 123-867-3509). It’ll pull up the same results as it would if you Googled the phone number with parentheses around the area code. Some people think the dots look chic, so they use them in their phone number. But Google does not treat periods the same as dashes. You may see different search results come up when you search for the number with periods (e.g. 123.867.5309). What kind of address is it (e.g. residential)? Do the expected business listings (e.g. YellowPages) come up? Do you see unexpected phone numbers come up? Any discrepancies as to what city / town that address might be in? What town does Uncle Sam think your ZIP is in? Know that before you touch your citations. 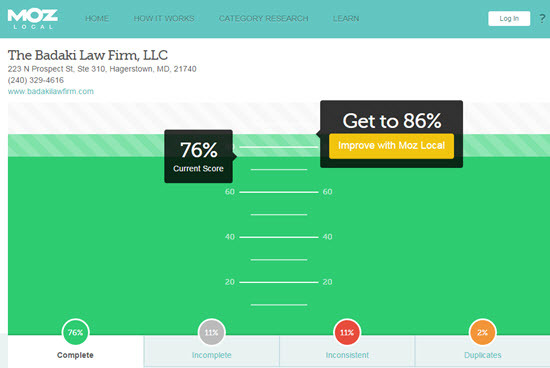 Do your competitors have better local citations? Which competitors? Where can you go to get those citations? The Local Citation Finder can save you hours of toiling. Those madmen at Local SEO Guide created a Chrome extension to help you unearth incorrect and duplicate citations. Another huge time-saver. Or, if you want to take the scenic route, you can use the sitelinks search box to find duplicate citations. Fix any business info that’s incorrect or out-of-date. YellowPages.ca is the make-or-break listing if you’re in Canada. YellowPages.com.au is huge you’re in Australia. Yell.com is crucial if you’re in the UK. Get your listing right and you may see progress on the Google Places side. Great resource: Bill Bean’s Twitter Handles for Local Business Citation Sources. Use OpenSiteExplorer, MajesticSEO, or Ahrefs – or some combination of the three, ideally. Spot-check your links and decide if they’re junk. Get any junk links removed. A worst-case scenario (one reason you don’t want to skip the “Check backlinks” step). Does Google Analytics show a steep drop-off in traffic on or right after a day that Google released an algorithm update? Do your five sites merrily link to each other? Don’t. Just see what – if anything – comes up. 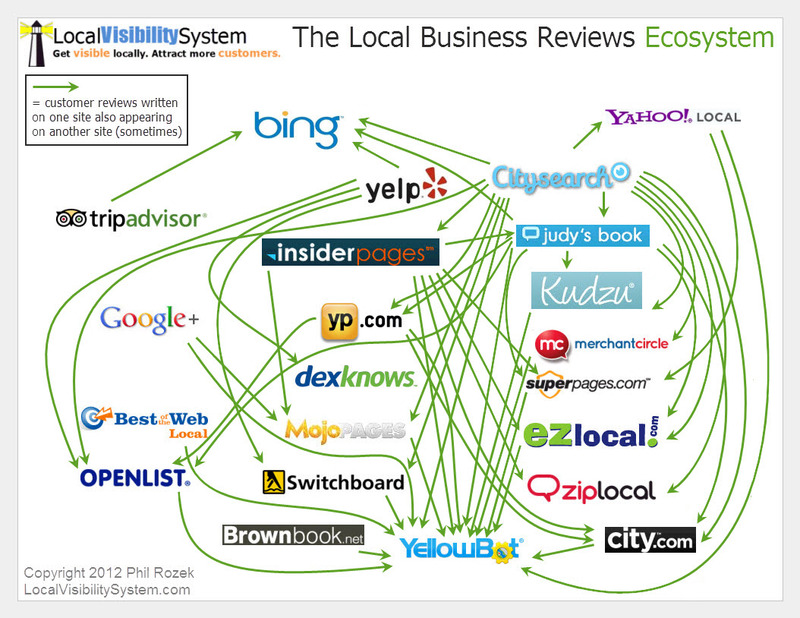 Not having many or any reviews is bad local SEO and worse marketing. Read this and this. 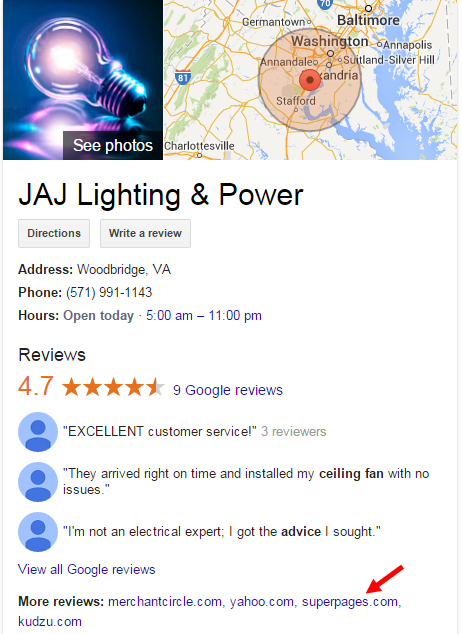 Sometimes buggy and won’t pick up Yelp reviews, but good for getting a quick sense of where a business has reviews. Same goal as above. As I’ve shown, reviews from all over the place show up on YellowBot. Yet another way to check for where a business has reviews. See this brilliant post by Joy Hawkins. Do you have a problem you still can’t figure out after trying those diagnostics? Is there a troubleshooting method I forgot? Having problems with Google Places? Of course you are! Local Google is a minefield of bugs, glitches, often-murky “Quality Guidelines,” sudden algorithm changes, and possibly unethical competitors. Tiptoeing your way around all the hazards requires luck or know-how. If you don’t feel like playing Russian Roulette with your business’s local presence, then you’d probably prefer the extra know-how. Well, if you want to rank more visibly, you first need to make sure your wings aren’t being clipped by a host of particularly common hazards. Even if you’re already ranking well in Google Places, you need to know how to identify, fix, or prevent these problems. Just because you haven’t encountered them doesn’t mean you won’t. That’s why I’ve rounded up 7 posts that help to troubleshoot some difficulties you might encounter—or maybe have encountered—in Google Places. Taking a few minutes to read these posts might just be enough to get you out of whatever Google-related jam you’re in—or to prevent future troubles. If your Google Places listing has a bunch of incorrect info on it, it might be “merged” with another business’s Google listing. Mike “Professor Maps” Blumenthal shows you how to deal with a merged listing. 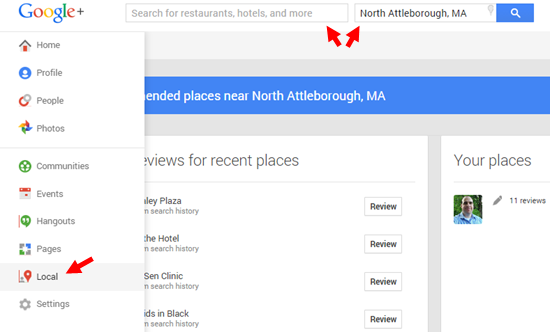 Are your competitors spreading lies or talking smack about you—on your own Google Places page? Here are some great tips for handling spam reviews. By the way, I suggest you read all the comments on that post; there are some great suggestions in there as well. If you’ve had a decent—or very good ranking—vanish all of a sudden, this post from Linda Buquet might light the way for you. Nyagoslav Zhekov tells you what to do when you have no idea why you’re receiving an error message from Google. A “part 2” to the above post, this deals with other common Google problems you may encounter. “Duplicate” listings are a huge problem in Places. They’re also one of the most annoying and tricky issues to solve. An excellent step-by-step guide for how to unravel duplicate listings. In addition to being a crackerjack troubleshooter, Nyagoslav has some great tips for how you can sniff out and avoid unethical local SEO companies. Any questions that aren’t answered by these awesome posts? It’s hard to imagine that’s the case, but if it is, just leave a comment and I may be able to take a crack at it. Got any suggestions for a great Google Places troubleshooting post I should know about? Email me, tweet to me, or (again) leave a comment. stay in the loop on my posts. 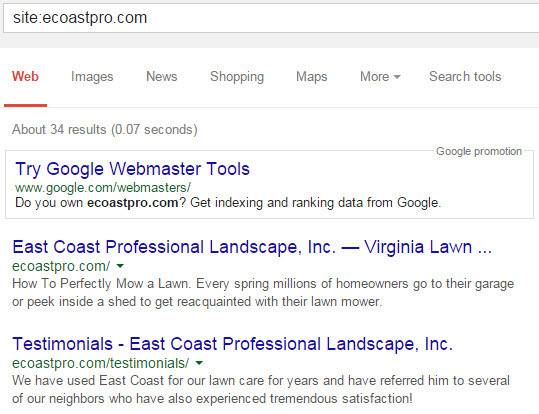 Does Google Look the Other Way When a Local Pack Advertiser Spams the Google Maps Results?